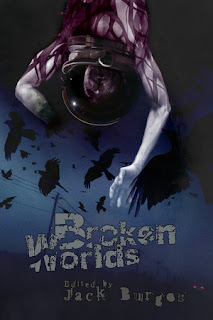 The science fiction collection, Broken Worlds, with my short story, "Ouroboros," is now available for purchase through Amazon -- in both paperback and Kindle editions. 278 pages of fractured realities, both metaphorical and literal, for less than 13 bucks! (or 5 bucks, if you do the digital thing). Check it out. And thanks.